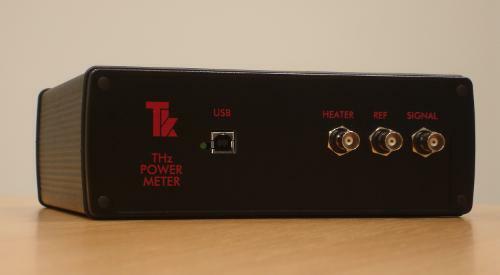 A new USB version of our successful absolute power meter support unit is now available, with continuous FFT display of noise and dynamic as well as digital readout of power levels. 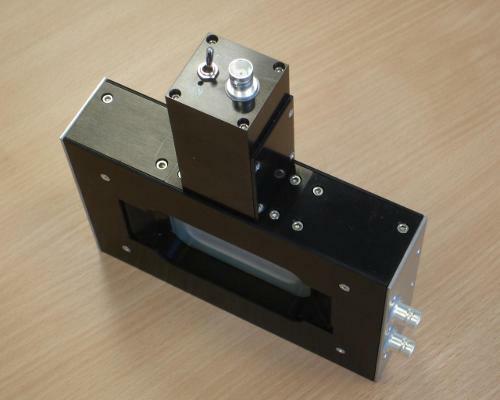 The head is a photo-acoustic detector using a closed air-cell and a pressure transducer. 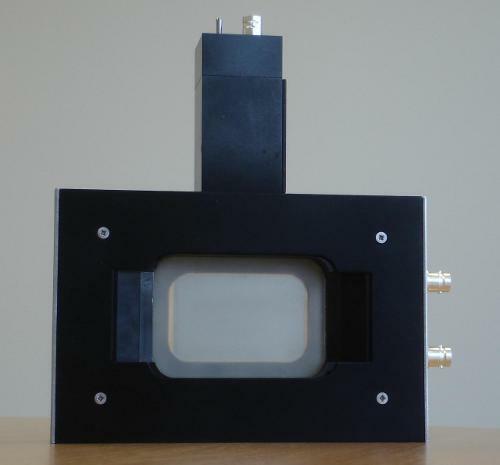 Calibration is provided by ohmic heating of a thin metal film within the cell. 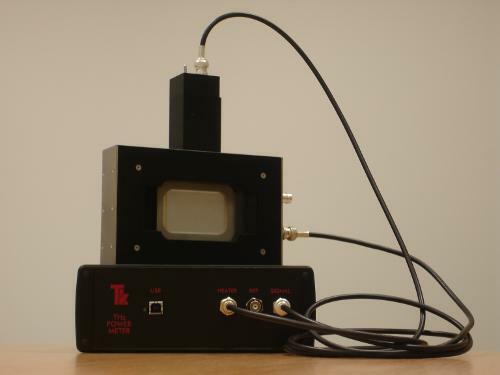 The support unit is based around a National Instruments USB-6211 data acquisition module. Additional electronics have been added to provide film heating for calibration and to amplify the signal from the head's microphone pressure sensor. 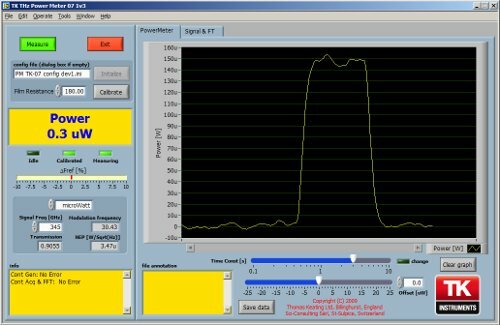 The compiled software, written in LabVIEW, implements a lock-in amplifier and displays the microwave power.